A little over a month after the second season of Iron Fist has dropped to much improved [but still not great reviews] Marvel and Netflix have decided to cancel the show. According to Deadline there won’t be a third season of the show and this marks the the first of the Marvel Netflix series to be cancelled. The comment seems to suggest that while the show is cancelled that doesn’t mean that the character is going anywhere. 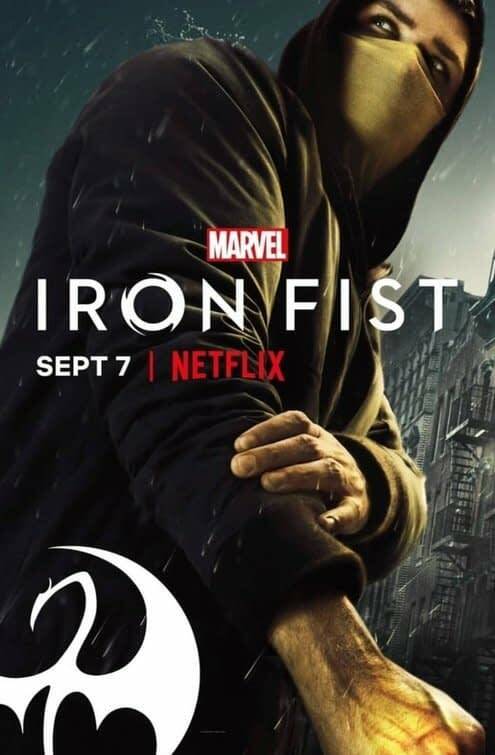 They could easily decide to do a Power Man and Iron Fist team-up show or maybe they will do a Daughter of the Dragon team-up after the events of the second season of Iron Fist. That would make for an interesting dynamic. At the moment there is a third season of Jessica Jones in the works, a second season of The Punisher set to drop sometime next year, and a third season of Daredevil set to drop on the 19th of this month. At the moment Luke Cage is currently in limbo as far as whether or not it will see a third season. Some fans were expecting Marvel to announce renewals at New York Comic Con but they decided against it.